Anchor Properties is one of the Midwest's premier developers of regional shopping centers and quality single-tenant retail properties. 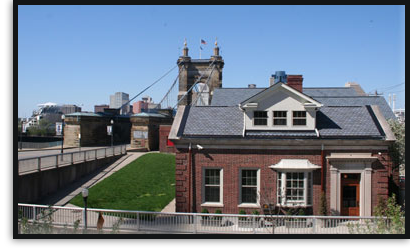 Anchor Properties was founded in 1987 by Steve Hemberger and Doug Hynden in Cincinnati, Ohio as a commercial development company specializing in high-quality retail development. Anchor Properties was formed with the idea that the basic principles of hard work and integrity would best serve their growing list of tenant-retailers and that their projects would be assets in the communities in which they developed. Those principles carry on today as Anchor has grown to over 15 on its talented staff which has produced 100+ retail developments throughout Ohio, Kentucky, Indiana, Michigan and western Pennsylvania. These projects total in excess of 2.5 million square feet of developed retail space, with a development cost well in excess of $500 million . The quality of the retail projects that have been developed by Anchor Properties is reflected by the fact that we have maintained a portfolio-wide occupancy level in excess of 99%! Anchor's retail development focus continues to be quality build-to-suit retail development for some of the nation's best retailers throughout the Midwest. These tenant/clients include over 80 stores for the nation's leading retail pharmacy, Walgreens, discount department stores such as Wal-Mart, Meijer and Kohl's, and home improvement superstores such as Lowe's and Menard's. In addition, Anchor has welcomed many of America's best known restaurants to its developments such as Olive Garden, Longhorn Steakhouse, McDonalds, TGI Fridays and Chick-fil-A. In 2007, Anchor Properties proudly announced the opening of Anchor Properties of the Great Lakes to better serve its clients. Anchor Properties of the Great Lakes will continue Anchor's aggressive development growth throughout the Midwest out of its new Grand Rapids, Michigan office.